This is it: the ultimate guided New Zealand snow tour that will take you to the best South Island ski resorts and club fields! We have the South Island’s ski and snowboard highlights and hidden gems all packaged up for you! Our expert snow guides will show you the slopes and the tow ropes on this twelve-day snow tour. This extensive tour samples New Zealand’s most popular ski fields before heading off the beaten track to lesser known club fields loved by locals and pros alike. 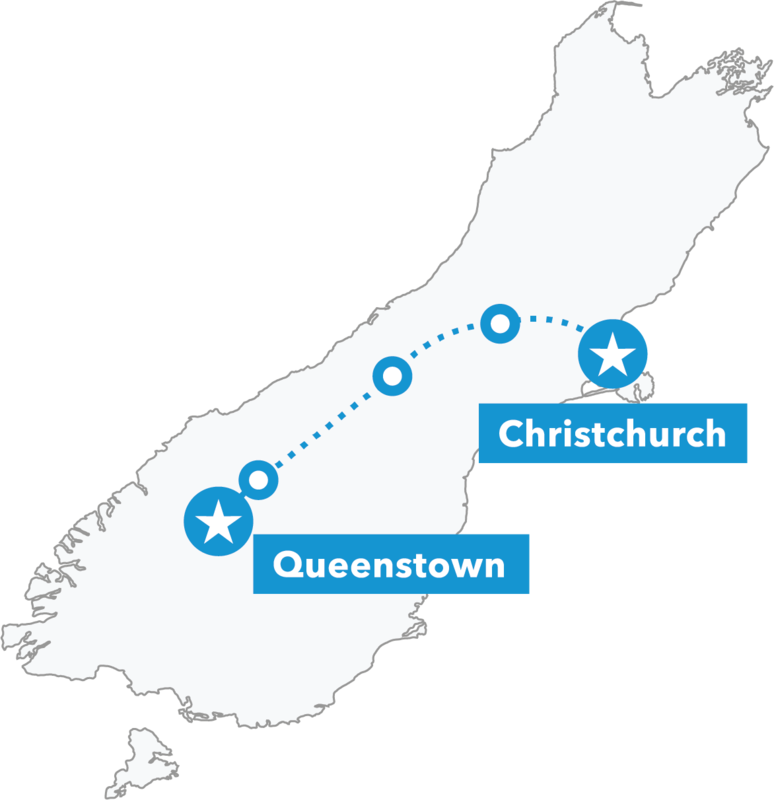 We’ll enjoy eleven mountains: The Remarkables, Coronet Peak, Porters, Cardrona, Ohau, Treble Cone, Roundhill, Broken River, Mt Olympus/Temple Basin and Craigieburn; and we’ll visit New Zealand’s favourite winter destinations: Queenstown, Wanaka, Christchurch and Lake Tekapo. With only 4 departures this season (end of July through to September), places are limited. Reserve your spot with just a $99 deposit! It’s best suited to intermediate to advanced skiers and snowboarders as you’ll be using nutcrackers and rope tows to climb the slopes at most locations. But don’t let this put you off – our expert snow guides are on hand to help, and most people adjust to using these tools after just a couple of runs. Highlights include: Porters ski field – an off-piste heaven with one of the largest vertical drops in New Zealand; Craigieburn – a best-kept-secret amongst locals with wide open powder bowls and lofty narrow shoots; and ever-popular Queenstown – packed with more adrenaline-pumping activities than there are hours in the day to enjoy them. The Snow Odyssey is a combination of our Snow Safari and Snow Explorer tours and is best suited for intermediate to advanced skiers/snowboarders as you’ll be using nutcrackers and rope tows to climb a handful of the slopes. Never heard of a nutcracker? Don’t let this put you off! Most people adjust to using these tools after just a couple of runs and our guides are on hand to help. We’ve got everything organised: your transport and transfers to the mountains, your accommodation, lift passes, breakfast, two dinners and your tow gear. If you want to add on any extras like equipment hire or accommodation upgrades, that’s easy! Just click the add-on options when you book the tour and we’ll sort it! Beginners – our Snow Safari Tour is more suited to your needs, but keep this tour in mind for when you’ve reached intermediate level! 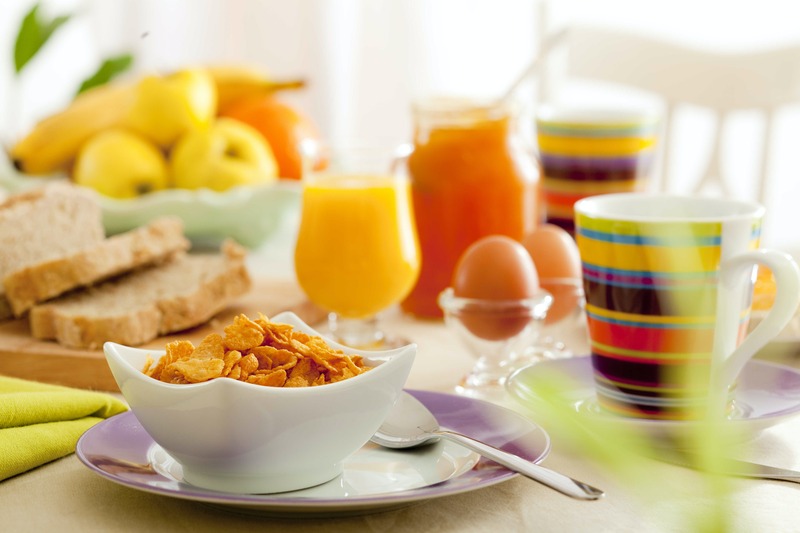 As the tour starts early in the morning, you can opt to stay at our accommodation in Queenstown the night before the tour – only having to walk downstairs on the day the tour starts makes for a stress-free morning. Likewise, you can book an extra night of accommodation in Christchurch on the last day so that you are not in a rush once we go our separate ways. 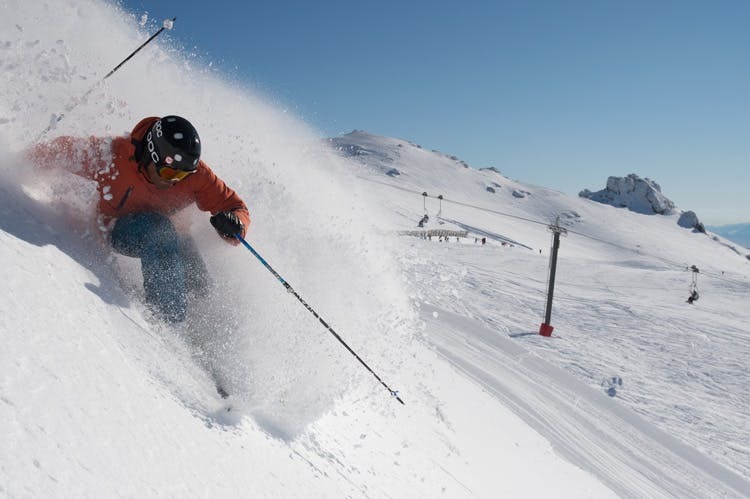 Visiting 11 mountains over 12 days, this is a mega-combo happy deal of club fields, back-country skiing and your favourite New Zealand ski resorts. Accommodation, transport, expert guide, lift passes, Continental breakfasts, 2 x dinners, Tow gloves and harnesses. We’ve scheduled a snow-free day to enjoy some of the non-snow highlights of New Zealand’s adventure capital. 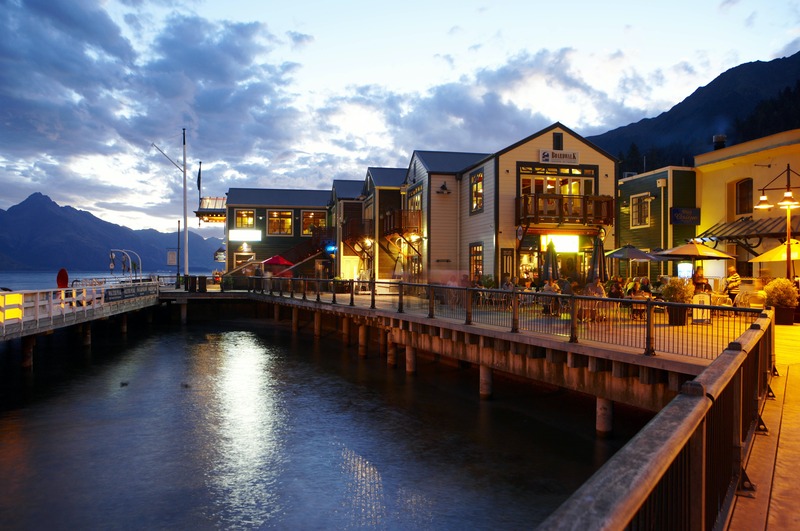 Your adventure begins in New Zealand’s premier winter destination: Queenstown! At the eastern end of Lake Wakatipu, a vast natural amphitheatre hidden in the snow-capped rugged ranges awaits. Stepping it up a notch, snowboarders will appreciate the natural terrain park that Coronet Peak provides – it’s full of endless hits and powder stashes – oh, and views! Today’s a chance to rest your legs and get to know this spectacular adventure destination. Take the opportunity to bungy, jetboat, visit Milford Sound, or even heli-hike! With 345 hectares of wide, undulating trails, open slopes, steep chutes, natural snow and awesome terrain parks, there’s something for all to enjoy at Cardrona. Let’s go! The largest ski area in the South Island is yours for the taking today, with plenty of exhilarating terrain and magnificent views. In the evening, Wanaka is an après-ski delight. Off the tourist trail, intermediates can zig-zag the ‘Luge’, while experts take on the ‘High Traverse’ and the ‘Escalator’. Think of it this way: Ohau = Oh! How awesome! After spending the night in an International Dark Sky Reserve, we’ll be amped for the highest vertical drop in Australasia and one of New Zealand’s widest pistes. Bliss! We head off early to Porters where we’ll enjoy the relaxed and friendly atmosphere. Our accommodation for the next two nights boasts unrivalled views and an outdoor spa pool. Consisting of a two large bowls that catch the powder with steep basins, chutes and drop-offs Broken River’s terrain caters to the adventurous. We’ll pick the best mountain for the conditions of the day: Mt Olympus (‘Playground of the Gods’) or Temple Basin (founded in 1929 and still true to the pioneering spirit). For big mountain skiing, Craigieburn has a well-deserved cult following. If you like it steep and deep with wide open powder bowls and lofty narrow chutes, this mountain is for you! One last snow day exploring Cragieburn’s 400 hectares of skiable area before blazing a trail back to Christchurch and preparing to inspire all your friends with epic tales of your Odyssey. Your tour includes all the essentials but you can add extra wow-factor to your tour by adding on the activities and accommodation upgrades that suit you best. Want to ski for free? Only $99 to secure your seat unless you book within 45 days of departure. Once your spot is booked, you can log in and customise your tour with any extra experiences or activities up to 45 days before departure. Ski & board some of the longest heli runs in the Southern Hemisphere & experience 3 mountain ranges on this bucket list tour. Find off-piste heaven – leave the beaten track behind & sample four epic mountains rated by locals as NZ’s best-kept-secrets. All abilities are welcome on our one-week snow tour that takes you to the top ski & snowboard locations on six mountains.